The German central bank (Bundesbank) has brought back 674 tons of gold reserves kept in Paris and New York since the Cold War. 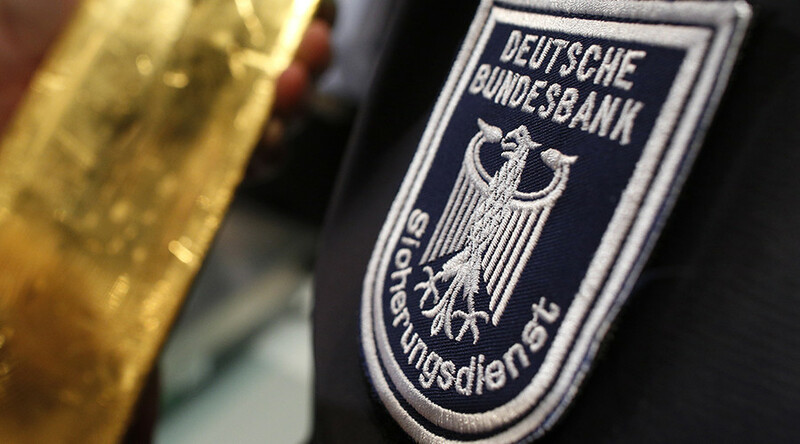 Some 53,780 gold bars, each weighing 12.5kg and worth €440,000, have been shipped to Germany over the last four years, said the bank. The last 100 tons were moved from Paris earlier this year, which means the Bundesbank now holds no reserves in France. 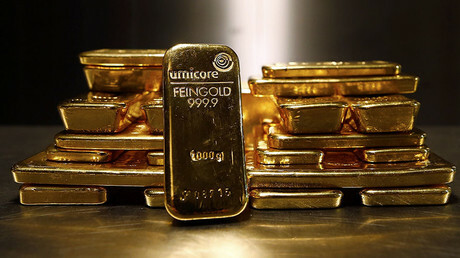 "This closes out the entire gold storage plan – around three years ahead of the time we were aiming for," said Carl-Ludwig Thiele, a member of the Bundesbank’s Executive Board. The bank has already repatriated 940 tons of gold from London to save on storage fees. In 2013 Germany said it planned to transfer at least half of the country’s gold to Frankfurt by 2020. The move was in response to public concerns about having so much of the nation’s wealth kept abroad. Over 50 percent of Germany's gold reserves are now in Frankfurt. The remainder is stored in London and New York, where it can be quickly exchanged for British pounds or US dollars in an economic emergency. Germany is the world’s second biggest holder of gold with 3,374 tons. The US Federal Reserve holds the most bullion, its gold reserves amount to 8,134 tons, according to the World Gold Council. The UK holds 310 tons, and the European Central Bank 505 tons. 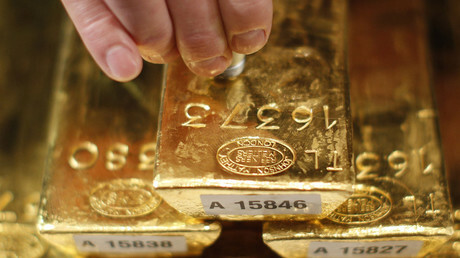 The Bundesbank has been criticized at home for keeping a major part of Germany’s gold reserves abroad. Critics demand the complete return of the gold to the country. They regard the gold as insurance in case of a crisis, and the immediate physical availability would be the decisive criterion. Trying to move gold from New York in 2014, the Bundesbank met obstacles from US authorities when German officials wanted to inspect the gold kept in US vaults. Some even doubted the German gold was still physically there. The Bundesbank dismissed all the doubts, saying it received annual updates from foreign central banks where the gold was being stored. It said that the "integrity, reputation and security of these foreign depositories are beyond reproach."